When your residential or commercial building has a garage door that isn’t working, having prompt repairs done is important for safety reasons. Action Garage Door is here to help you out with speedy repairs, including same-day service and 24-hour emergency service. We offer dependable garage door repair services for customers in North Richland Hills, as well as maintenance and installation services. When your garage door needs new parts or other repairs, call us right away. Our technicians will repair or replace parts as needed and get your garage door fully functioning again. Call us to learn more about our repair prices. Our North Richland Hills garage door service has been showing customers for thirty years how we take care of any issues you are facing. When you want the best in garage door repair and other services, you have to turn to the best. For years, we have been providing residents all over North Richland Hills with the garage door service they need to have their garages in the best working order. 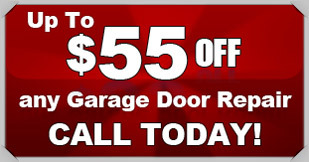 When you think garage door repair in North Richland Hills, think of Action Garage Door. At Action Garage Door, we understand you have many needs when it comes to garage door service. For this reason, our garage door service goes way beyond simple repairs. We repair problem springs, fix loose cables, repair garage door openers and much more. Garage door styles and trends change over the years, and even the sturdiest doors begin to show signs of wear and tear eventually. When the time has come to replace your garage door with a brand new one, count on Action Garage Door for help. We offer several types and styles of garage doors to choose from for homeowners and commercial building owners in North Richland Hills. When you rely on us for installation services, we guarantee that you’ll have a high-quality garage door that functions perfectly. No two home or business owners are alike, and our garage door repair company understands that no two will want the exact same garage doors and set up. 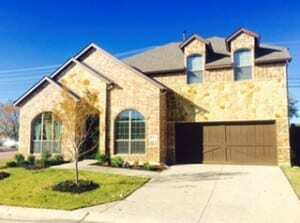 At Action Garage Door, we offer a variety of garage doors for installation in North Richland Hills homes and offices. Some of our options include Carriage House garage doors, Olympus garage doors, Classica garage doors, Stratford/Heritage garage doors, and Amarr steel overhead garage doors. North Richland Hills provides residents with convenient access to Fort Worth, and it’s also fairly close to Dallas. The city is about 28 miles west of Dallas and 11 miles northeast of Fort Worth. With a population of around 63,343, North Richland Hills is considered Tarrant County’s third largest city. It has also been named on Money Magazine’s “Top 100 Best Places to Live in America.” The average cost of living in North Richland Hills is right on par with the average cost of living in the U.S. in general and just a bit higher than the Texas average. The average income per capita is $30,804, while the median household income is $62,927. Major employers in North Richland Hills include Santander Consumer USA, North Hills Hospital, HealthMarkets, Tyson Prepared Foods and Con-Way Freight Inc. Housing is higher than the average for the state. 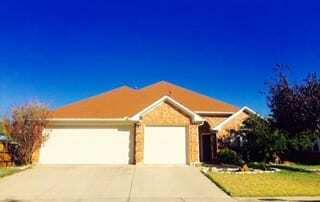 The Texas average for home prices is $131,400, while the average in North Richland Hills is $151,300. This is still lower than the national average of $175,500. 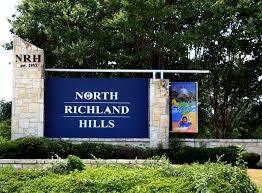 North Richland Hills is a city that continues to grow and attract more and more residents. Its convenient location in the DFW area, quiet neighborhoods, excellent schools and fine selection of amenities makes it an ideal place to call home. Those who want to meet other members of the North Richland Hills community can attend City Council meetings, take part in recreation programs and attend community events, such as Family Movie Night and the Mayor’s 5K Walk. The city offers programs to help residents become more involved, including a Citizens Civic Academy, Citizens Police Academy and Citizens Fire Academy. North Richland Hills offers visitors plenty of things to do and see. Those who are into art can see a number of art displayed in public spaces, including a permanent collection and loa ned art. Music lovers can make plans to go to a concert during the city’s Sounds of Spring Concert Series, which takes place at NRH Centre Plaza. 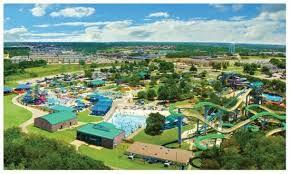 Guests who want a chance to cool off during a summer visit can do so at NRH2O Family Water Park. The park includes eight water slides, a lazy river ride and a kiddie pool for younger kids. If you’re looking for a thrill, tryThe Green Extreme — at 81 feet tall and 1,661 foot long, it’s the largest uphill water coaster in the world. It will take all day to try all the water slides from thrilling ones that offer tons of excitement to milder ones that offer a relaxing experience. North Richland Hills also offers fun tours of the city with “Round the Town with Oscar” bike rides. These bike riding tours take visitors of all ages all around the city to enjoy great views and learn a bit more about North Richland Hills. Those who enjoy the outdoors have more than 800 acres of parkland to explore in North Richland Hills. Fossil Creek Park is a riparian forest preserve that offers scenic views, nature trails, softball fields and more. Green Valley Park features a fishing pier, multi-purpose trail, playground, pond and BBQ grills. 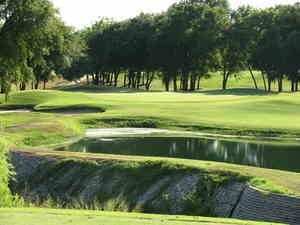 Those who like playing a round of golf can gather their clubs and visit Iron Horse Golf Club. The course has earned a 4 Star rating from Golf Digest and includes a clubhouse with casual or upscale dining options. For shopping and dining options, visitors will find several dining establishments in North Richland Hills, including Italian, Mexican, Mongolian, Asian-fusion, and Mediterranean cuisine. Chain restaurants are also located throughout the city. Visitors can head to nearby North East Mall for major shopping, or head to the city’s department stores and smaller shops. North Richland Hills has been growing at a stable but consistent pace, and it has many gorgeous suburban developments and neighborhoods throughout. Whether you’re looking for a unique garage door that suits your style or you need to adhere to the requirements of your North Richland Hills HOA, we can help you find the best garage doors for your home. Matching garage doors, custom garage doors, and garage doors of all styles — if we don’t already have it, we can order it in. Contact us today to find out more. To get started with your garage door repair, installation, or replacement, contact Action Garage Door in North Richland Hills today and let’s talk about the options available from the garage door repair company that has been caring for customers since 1984. Ryan was fantastic. Excellent service. A call in the morning and repaired in the afternoon. Ryan was on time, the repair was made and he was very professsional. work completed thoroughly, cost and time estimates offered along the progress. informative,friendly repair person. Had all supplies to make needed repairs and to do preventive maintenance. Tech special: Door and opener tune up.